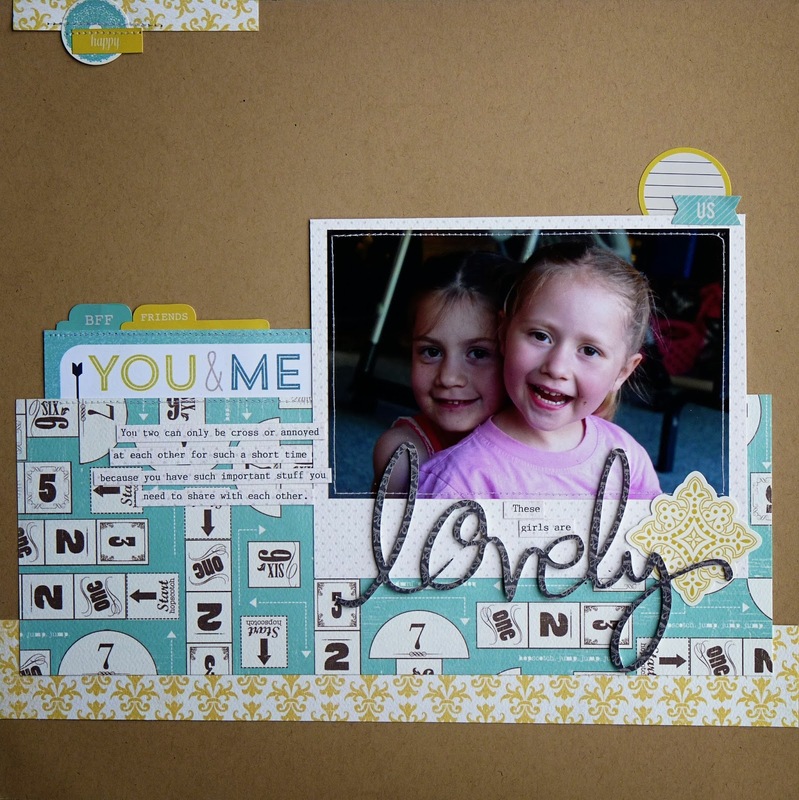 I'm back today with another layout I made using the True Friends Collection by Carta Bella. For this page I really wanted to use the hopscotch paper, it's my fave of the whole line but it looked a little overwhelming with some of the other busy papers so I just chose a simple colour combo and went with that. Then I pulled out any stickers off the element sticker sheet that were appropriate and the right colours. 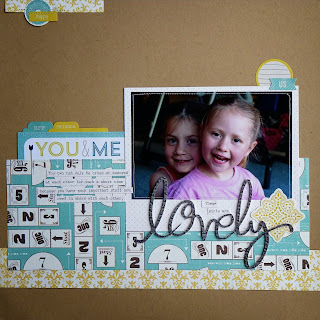 The 'you and me' card is actually from the MME Cut and Paste range but the top part of the card was an exact colour match. Then I finished it all off with a bit of stitching and a Silhouette title.